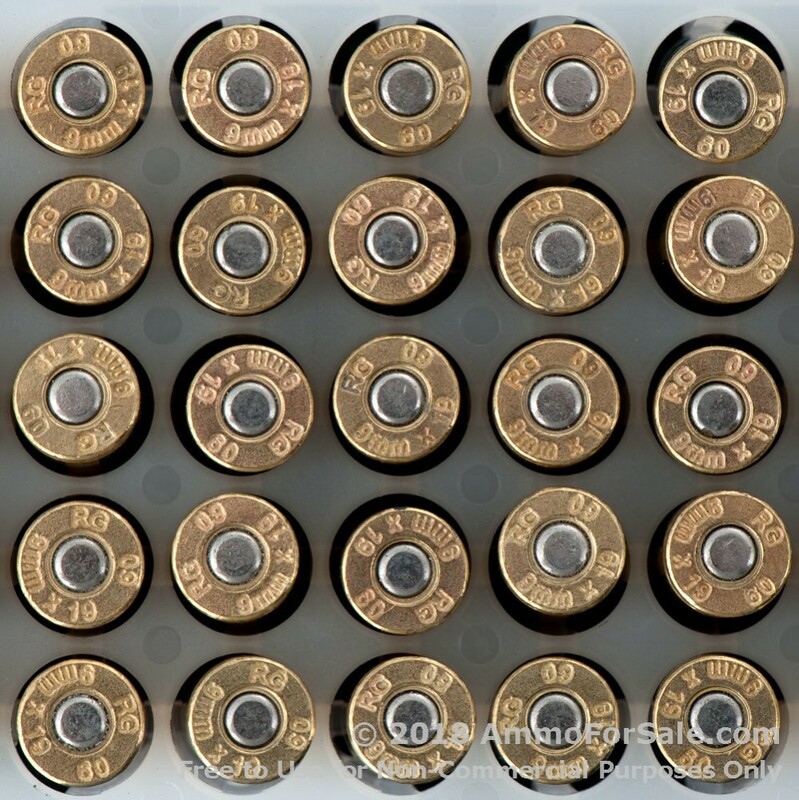 In some areas, the hollow point is not allowed, and in those cases, shooters turn to the JSP, Jacketed Soft Point. 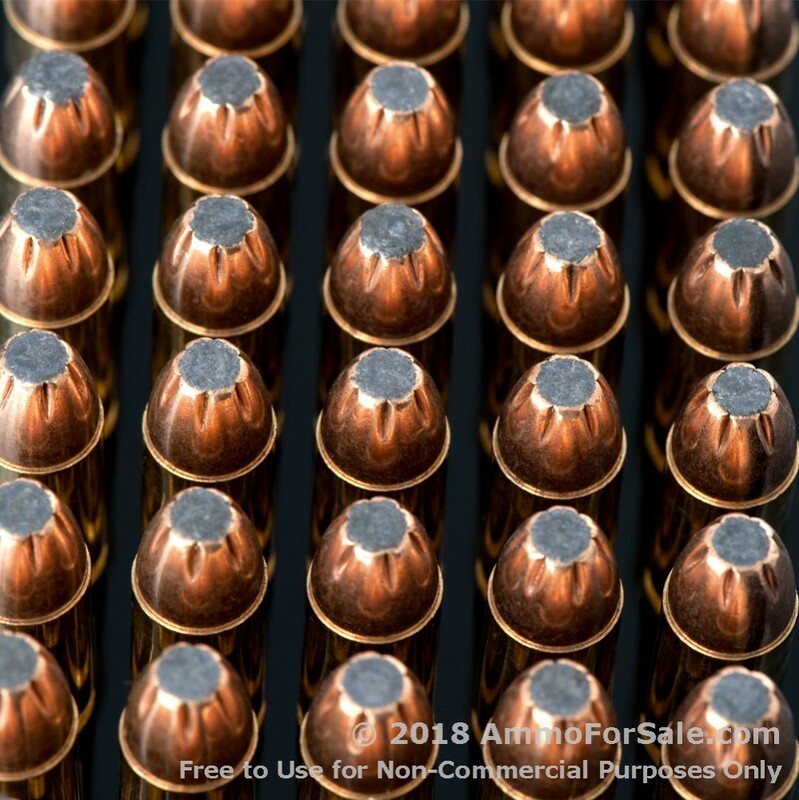 JSP’s fulfill a specific niche; target rounds do not offer expansion, and hollow points sometimes do not provide as much penetration as desired (or are not allowed), and in those cases, among others, the JSP is often used. 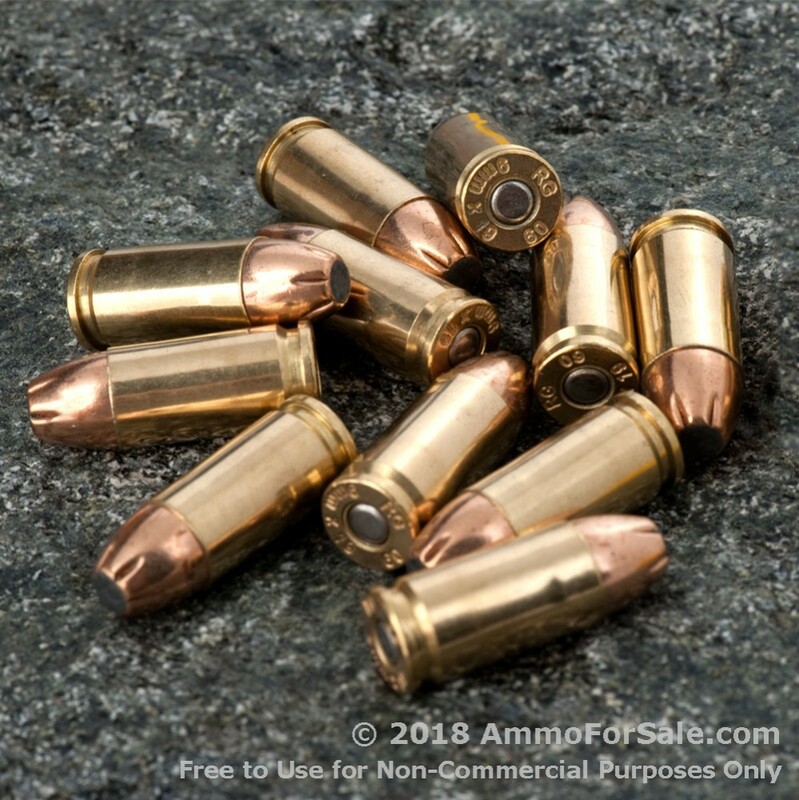 They expand on impact more slowly than HP’s and penetrate more deeply than HP’s, and when it comes to their use in small arms, some shooters like them for self-defense. 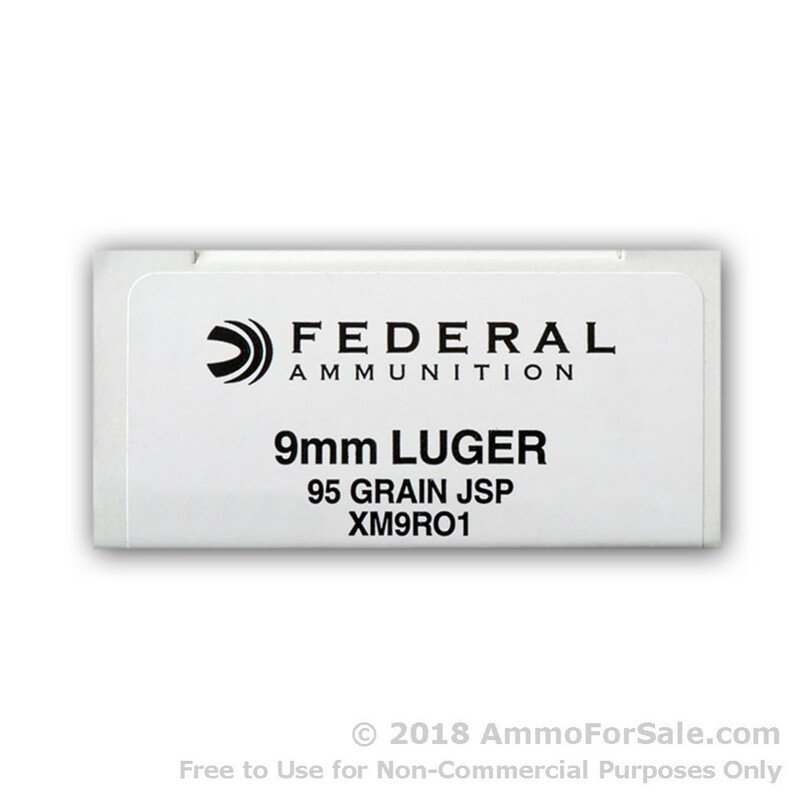 If you have a 9mm and are in a region where HP’s aren’t allowed or if you’d like to try out a different type of defense round, why not try these Federal JSP’s? 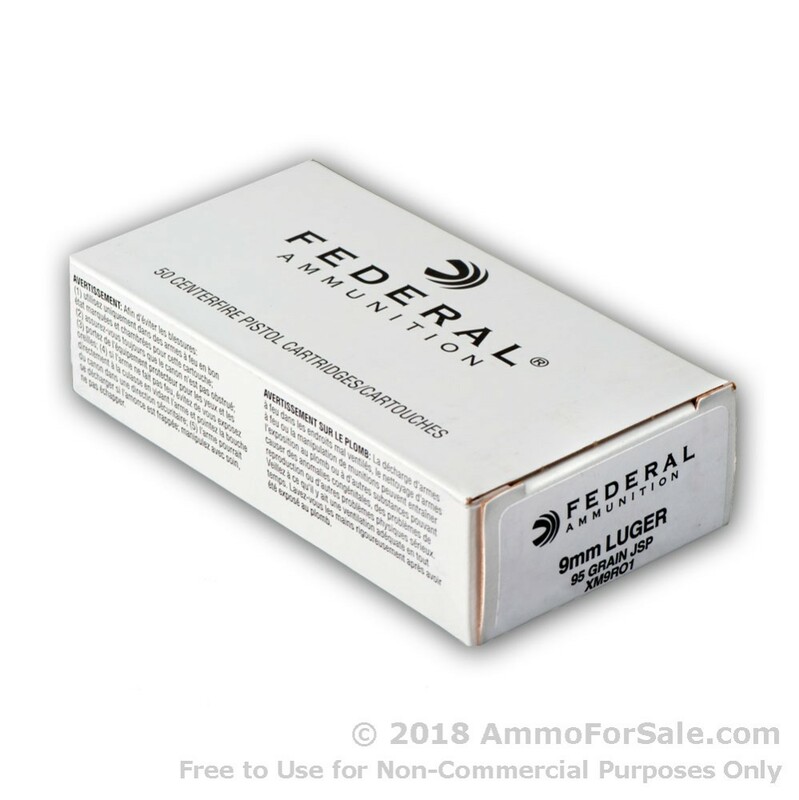 Federal was founded in 1922 by Charles Horn, who had the patience and marketing savvy to start small, selling the company’s products in filling stations and barber shops. It wasn’t long before the military was placing orders, leading to Federal being awarded an Army-Navy “E” for excellence for their production of war materials. They played major roles in World War II, the Korean War, and Vietnam and their ammunition has also been used in the Olympics to win gold medals. 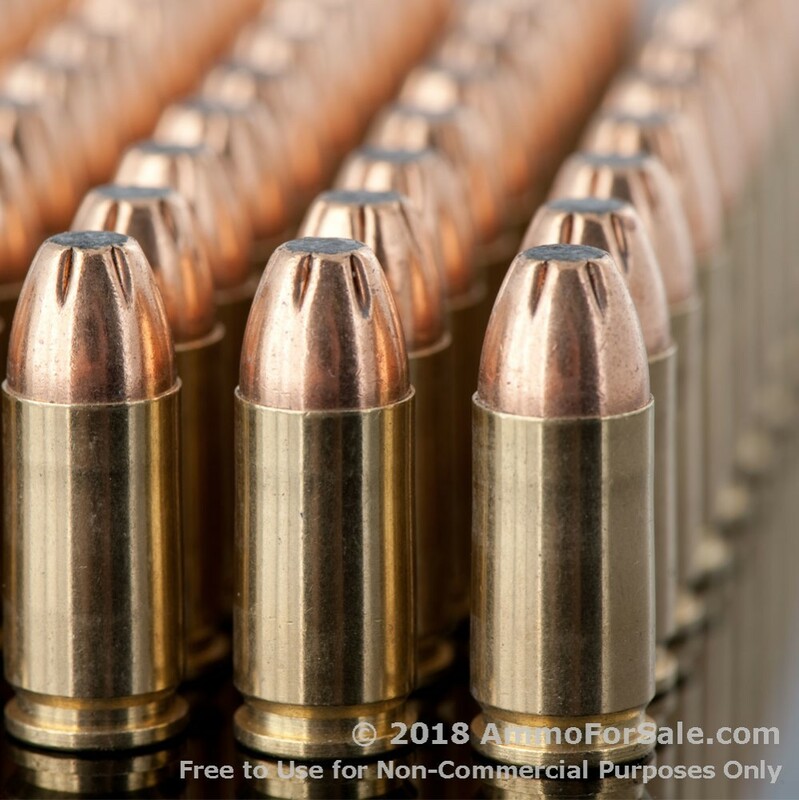 These rounds are manufactured in Anoka, Minnesota, to strict standards and their dedication to quality becomes clear when you feed your gun their ammunition. This is Federal’s super-lightweight 95 grain round, meant for situations where low ricochet is needed; they’re also exceptionally fast. 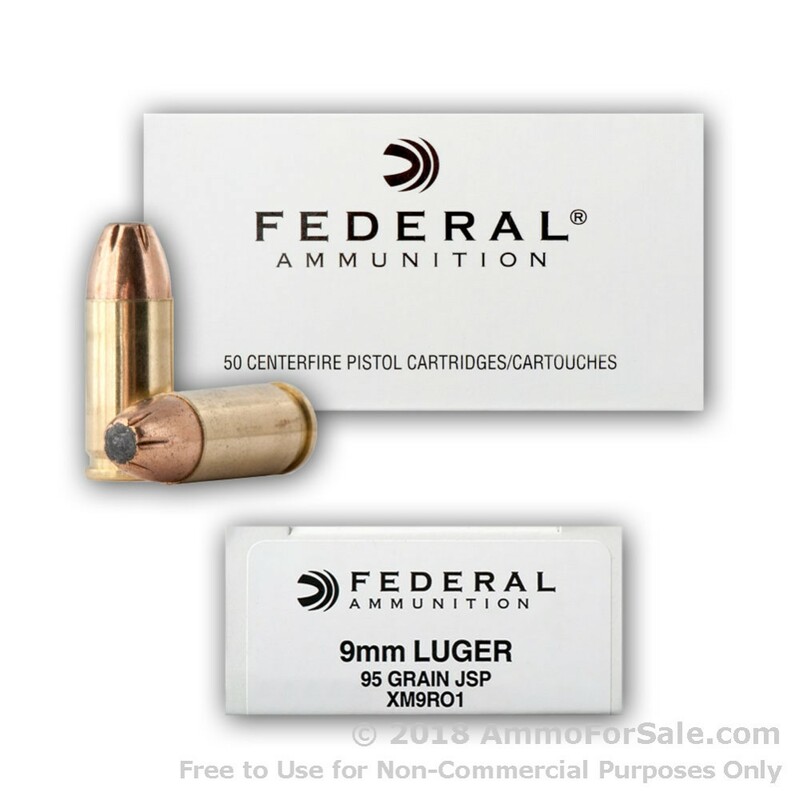 These are JSP’s, as described above, expand on impact and are typically used as a self-defense round. 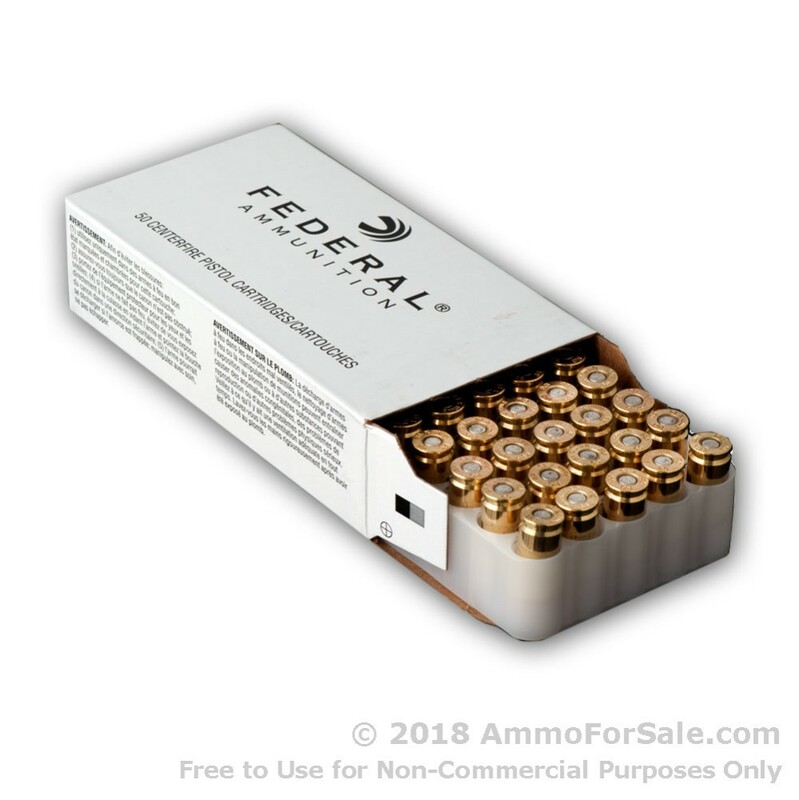 Federal produces these rounds in fresh brass cases with boxer primer, so they can be reloaded, making them an even better deal. 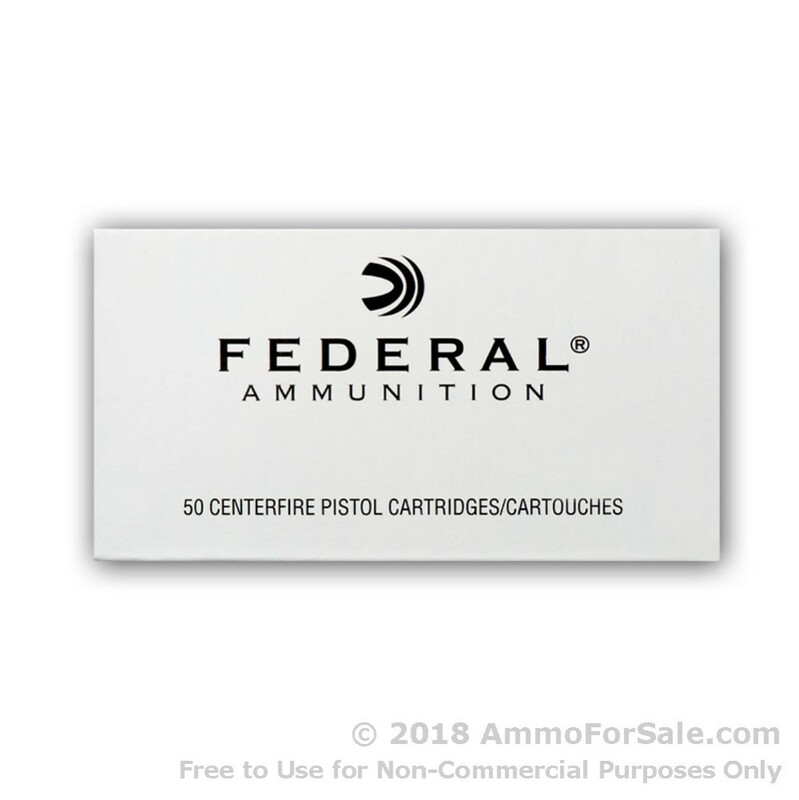 Their incredible speed is listed at a muzzle velocity of 1,320 feet per second. 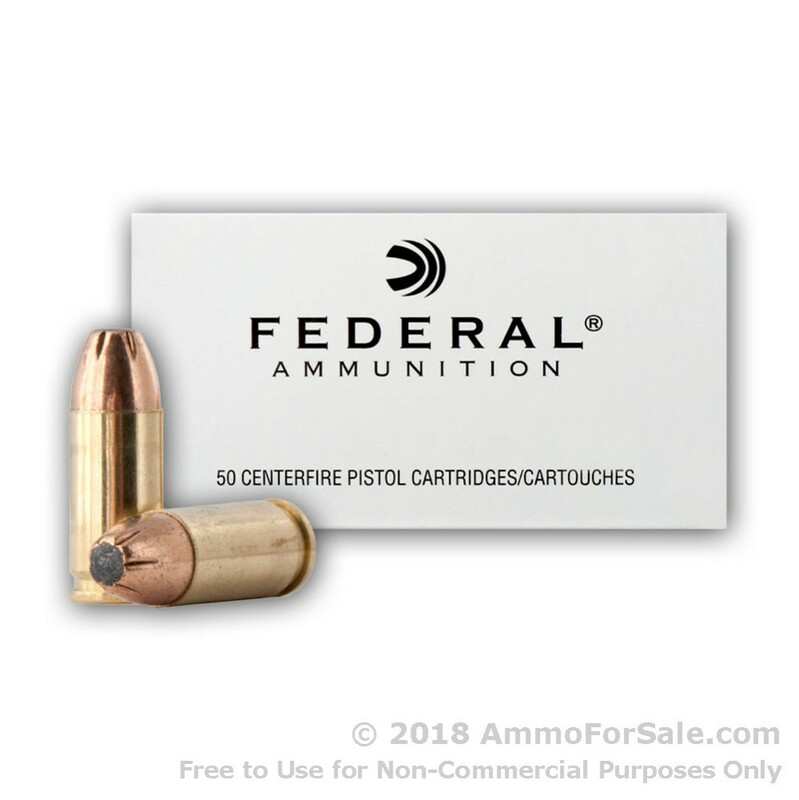 There are 50 defense rounds in the box; use them to keep your gun ready for self-defense situations or store them in your safe for later use. 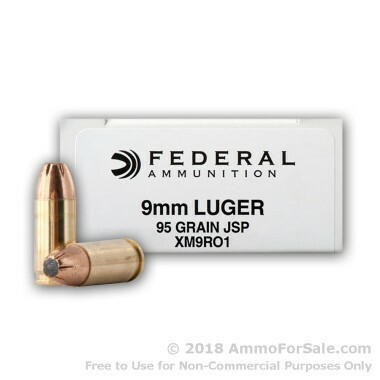 If you want an exceptionally fast 9mm round, you’ve certainly found it. Get your order in today while supplies last.